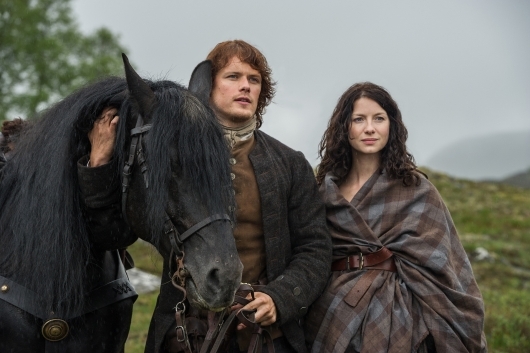 Outlander has enamored fans of the novels, as well as new fans, with beautiful sets, costumes, and of course the wildly talented (and good looking) cast. The show is currently in the midst of its 2nd season, based on Gabaldon’s 2nd novel, Dragonfly in Amber. So far, the Frasers have failed in thwarting the Jacobite rebellion from France, and have returned to Scotland to join it and win.